Exciting News from United Marble! 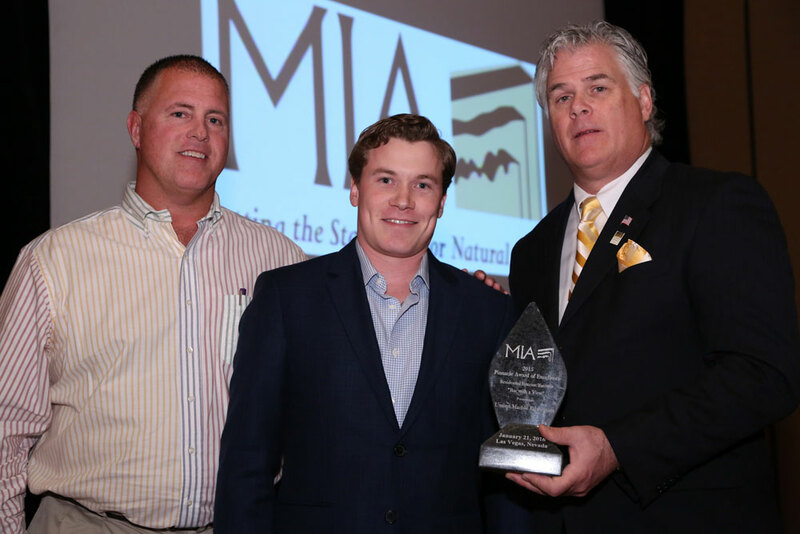 We are proud to announce that United Marble Fabricators has won a Marble Institute of America Pinnacle Award of Excellence at this year’s TISE (The International Surface Event) in Las Vegas, Nevada. 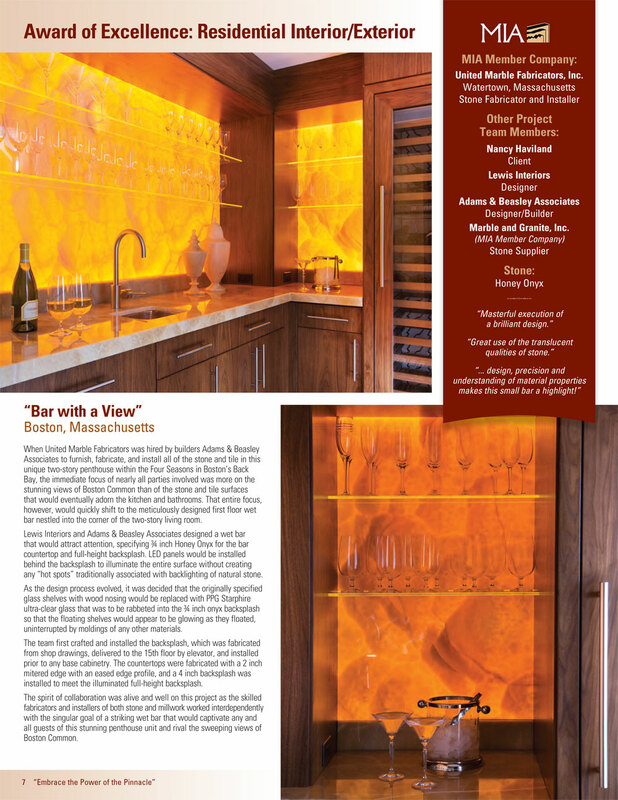 The award was for a Private Residence project in Boston they titled “Bar with a View.” From all of the projects submitted for consideration by stone and tile firms around the globe, there are four Pinnacle Award of Excellence recipients each year.